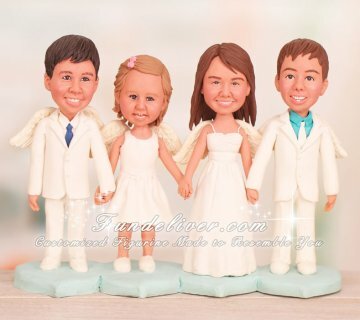 This is a completely customized four angels Christening cake topper ordered by a Mom for her children. 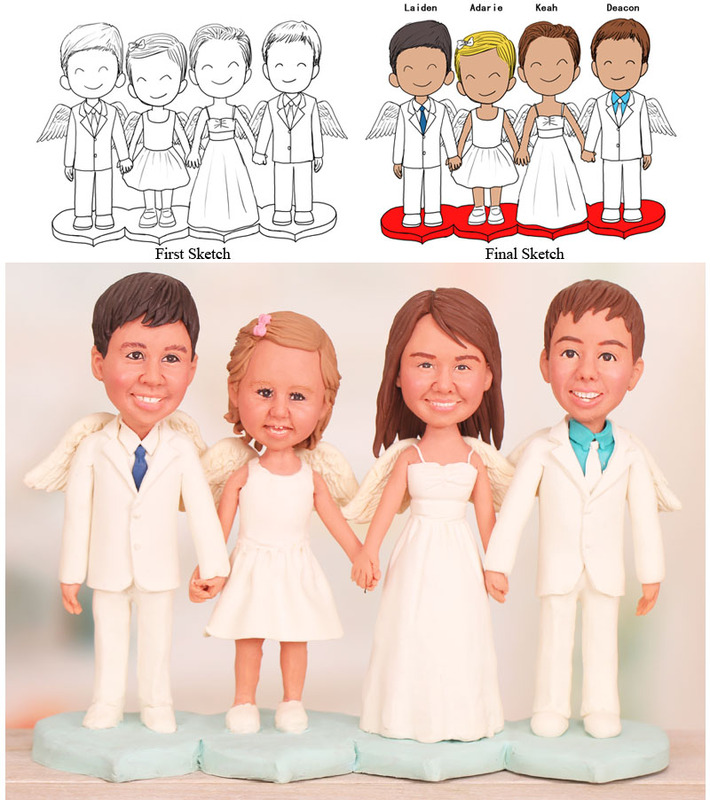 She is getting her four children christened on Sunday 15th April and would love four individual figures of them as angels to go on top of cake and for them to keep forever! The four children are all in white suits and dresses with angel wings on backs. Also they are holding hands, standing on a light blue heart base.